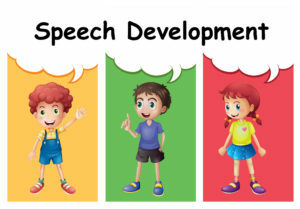 Is Your Child Battling With Speech Development? We can help. Speech is so intrinsic to our everyday communication that most of us take it for granted. Language, and speech in particular, underlies our ability to read and write, an ability necessary for modern living. Our speech development even plays an important role in laying a foundation for mathematics. This is an age of over-saturated social media and online communication. Face-to-face interaction remains important as well. An impeded foundation of good speech can have long-term negative consequences. Let’s look at some of the disorders that can impact our children’s futures. No one knows the exact causes of stuttering. Some think it has a genetic basis, but these have been unable to find a direct link. If there is no stuttering when the child is calm their speech impediment has a stress trigger. When excited, or nervous, their speech becomes disrupted. They may display unintentional and uncontrolled protracted sounds. Or there could be pauses, delays or repetition of words. Stuttering is usually acquired in early speech development. Trauma can also be a cause. Someone who stutters doesn’t have problems making sounds, but experiences involuntary hindrances. Examples of this speech disorder are when a child pronounces “rabbit” as “wabbit” or has a lisp. We can confirm that it is an articulation disorder only if the mispronunciations persist after a certain age. This age is different for different sounds. If a 3-year-old is saying “wabbit” it is probably developmental, but if a 7-year-old still can’t say “rabbit” it would reveal an articulation disorder. This is a neurological disorder which affects motor and speech abilities. There is a disruption of the pathways between the brain’s signal to make speech sounds and the muscles required in making those sounds. In this case, the person trying to speak knows what they want to say, but battles to speak, which may lead to frustration. Apraxia Awareness South Africa (AASA) says possible warning signs include babbling at any age, any loss of speech or the inability to use gestures. Someone suffering from CAS also struggles to understand what is being said. Children with language disorders struggle to understand grammar. They will not make use of plurals, articles (a, the) and prepositions (in, of, with). Receptive Language Disorder (RLD) means that written and spoken language is hard to grasp. Expressive Language Disorder (ELD) occurs in people who can speak but can’t find the correct words or form sentences. Someone with Expressive-Receptive Language Disorder (ERLD) will struggle with symptoms from both ELD and RLD. It is important to know that applying the correct therapy is effective for every one of the above speech disorders (and others)! We have seen positive results in treatment. Sometimes, concerned, proactive parents struggle to get an accurate speech assessment from professionals. This is the first step. Our assessors will make sure that there aren’t any hearing problems which might be causing the speech issues. These might go undetected in an otherwise healthy child because kids are so good at using visual cues. They might have been able to supplement being hard of hearing in this way. 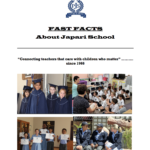 At Japari we have some of the best qualified occupational (OT) and speech therapists working with children. They will be able to assess the causes of any speech impairments. We will then chart a course to address whatever obstacles the child might be facing. The children at Japari will be given the correct attention to deal with whatever speech impediments they might be facing. This sets them up for academic and life success.